I'm doing a research on Jacques Lacan's Structuralism. I've been told that he had some believes, or ideas about subject. So, I'm looking for the terminology of Lacan's Structuralism, as the first step of my research. A primary resource that discusses the topics in that section would be The Seminar of Jacques Lacan: The Ethics of Psychoanalysis (Vol. Book VII). 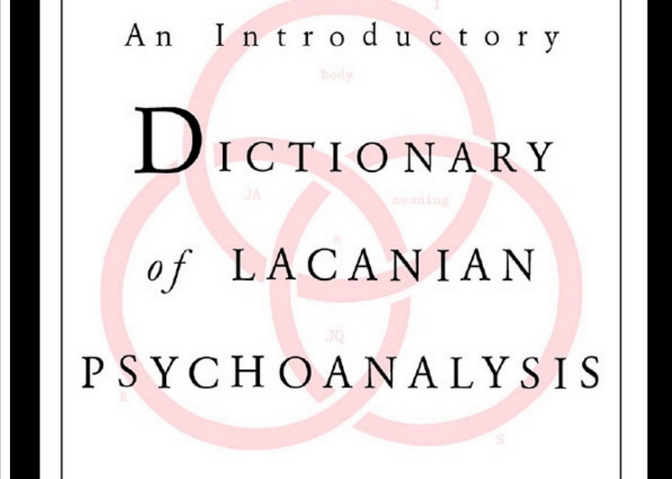 Additionally, Ecrits is probably Lacan's most important collection of writings that you should read if you are planning on understanding his work; it contains many of his writings including the seminar mentioned above. As you will see in the bibliographies, Zizek has written extensively on Lacan and is probably the most ubiquitous (for better or for worse) contemporary philosopher that writes on the topic. See his book Looking Awry: An Introduction to Jacques Lacan through Popular Culture. and I think (unsure) there may be another avilable. I would recommend either, as it seems that Lacanians aren't hostile to encyclopedias for beginners! Not the answer you're looking for? Browse other questions tagged reference-request terminology structuralism lacan or ask your own question.